Generally, “jammers” — which are also commonly called signal blockers, GPS jammers, cell phone jammers, wifi jammers, etc. are radio frequency transmitters that are designed to block, jam, or otherwise interfere with radio communications. A jammer can block radio communications on devices that operates on a given radio frequencies within its range (i.e., within a certain distance of the jammer) by emitting a noise radio carrier. 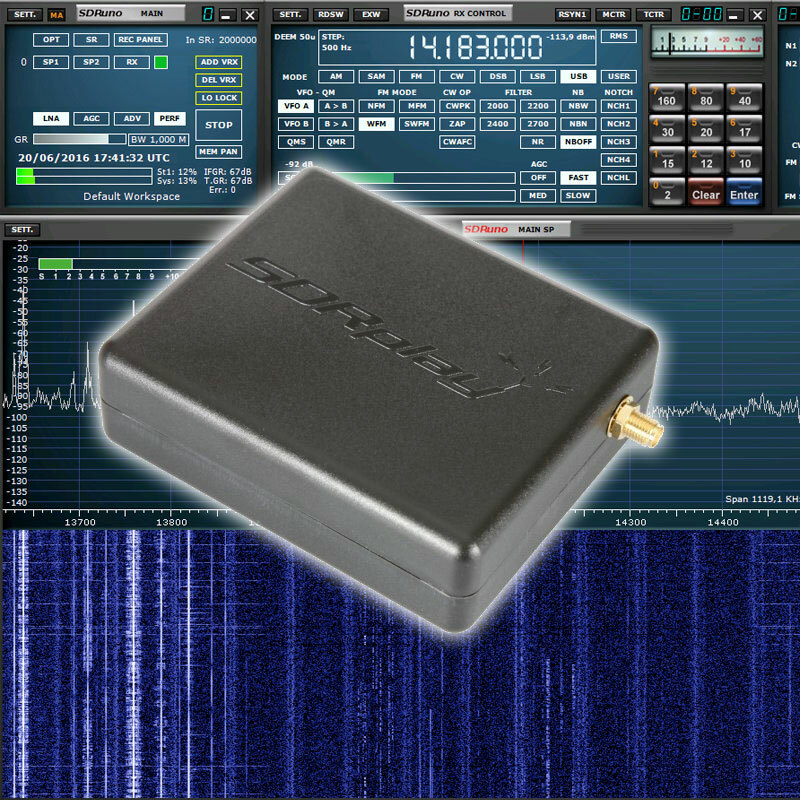 A GPS jammer generates a 1575.42 Mhz interference to prevent your GPS unit from receiving correct positioning signals. 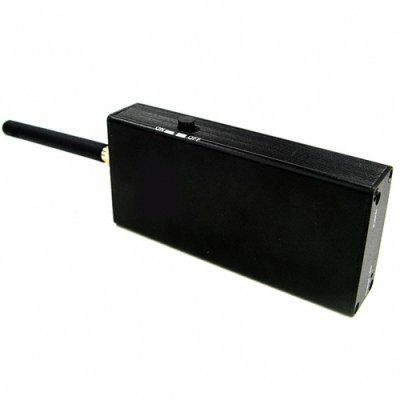 The GPS jammer is typically a small, self-contained, battery powered and transmit signal over a small radius. Though illegal to use, these low-tech devices can be bought on the internet for as little as $25. Since they can block devices that record a vehicle’s movements, they’re popular with truck drivers who don’t want an electronic spy in their cabs. They can also block GPS-based road tolls that are levied via an on-board receiver. GPS jamming technology will also disable autopilot in drones to protect individuals' privacy. In the US federal law prohibits the sale or use of a transmitter (e.g., a jammer) designed to block, jam, or interfere with wireless communications. For this reason some jammer retailers now label jammers as “signal generator kit” so it will just slip through customs and them is to purchaser sole responsibility for ensuring that the operation complies with the applicable laws. One of these “GPS signal generator kit” is the QH-1 Professional GPS Signal Generator Module (It seems that the QH-1 GPS jammer ran out of stock and will not be manufactured anymore, but you can still find the similar HJ-3A GPS and CDMA/GSM cell phone jammer. Do NOT buy unless you have first checked the applicable laws of your country). I’ve always wondered what’s inside these jammers, given their cost, so i purchased one “signal generator module” and put under test with RF laboratory equiment, disassembled and photographed them for all to enjoy. The PCB is named NBC-Q101A\A101B\QH2. Interestingly some PCB components are unpopulated which means that this board is used for more than one device, possibly a combination of CDMA / GSM / GPS jammer. All components except LEDs are surface mount, with some integrated circuits used throughout the design. 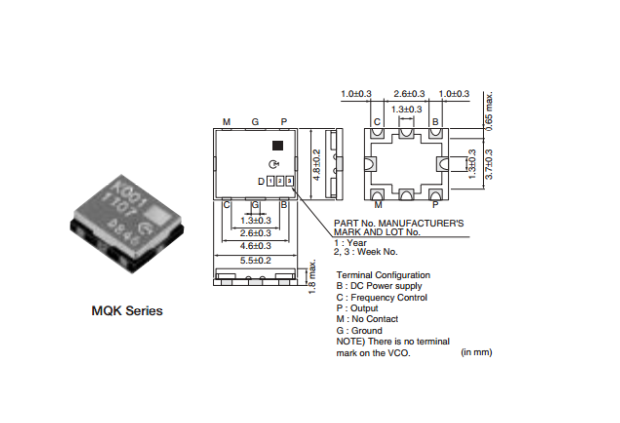 A pair of NE555 & NE556 generate a low frequency noise signal that is feed to a Murata MQK301-1528 voltage-controlled oscillator or VCO. These Murata VCO are normally used as 1st LO in Wireless Local Loop and has a 1466.0-1590.0 frequency range. The VCO output signal is then amplified with a unknown RF Transistor, a semiconductor device which is used in order to amplify radiowaves. The 45deg component mounting of RF Transistor and some passives is unusual perhaps this board was fabbed in low enough volume that optimizing pick & place to only do multiples of 90deg wasn't needed. You can compare this jammer design with previously published one by the Phrack hacker magazine how to make a low-cost GPS jammer. 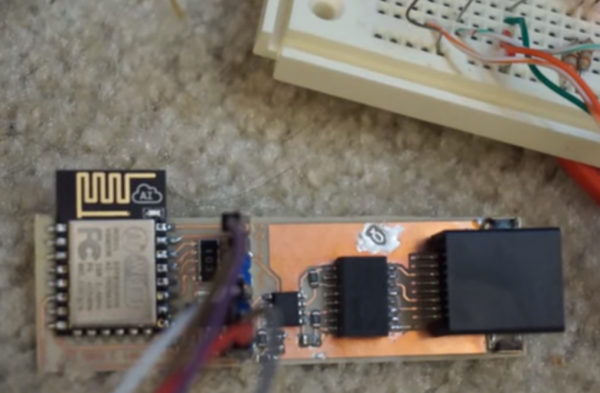 Phrack design uses a different noise generator made from a diode and LM386 audio amplifier, and a PLL oscillator instead of a VCO. We did spectral tests on the QH-1 Module and this simple design have surprisingly almost no excessive spurious emissions or harmonics, that is outside jamming the GPS L1 Signal. So this jammer will not disable your cellphone or wifi, only your GPS receiver. After measuring output power with lab equipment and considering the provided quarter wave antenna the estimated range of this unit is 15-30 meters in the open. When using GPS receivers in city urban canyons with tall buildings, the shadowing and multi-path effects results in poor GPS signal reception and jammer range can be even hundreds of meters at street level. So any natural interference benefits the jammer by allowing it to operate much further away or operate at a lower power. There isn't much GPS victim can do to reduce natural jamming like multipath or shadowing other than moving to a different location. It must be noted again that the use of jammers is not only unethical but is also illegal under US law and potentially dangerous. In one case, a New Jersey driver used a powerfull jamming device to disable a tracking device in his work truck. He was working on a job inside the Newark Liberty International Airport when his GPS jamming signal interrupted a GBAS system test. Ground Based Augmentation System ( GBAS ) augments the existing Global Positioning System ( GPS ) used in U.S. airspace by providing corrections to aircraft in the vicinity of an airport in order to improve the accuracy of, and provide integrity for, these aircrafts' GPS navigational position. 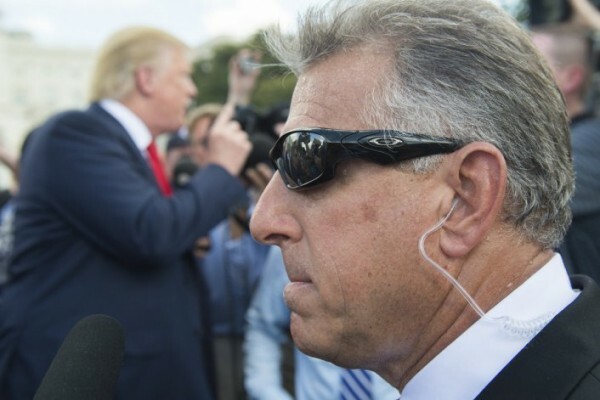 An FCC investigator was able to locate the jammer using radio monitoring equipment and prove that it was causing interference. The offending driver was fined $2,360. 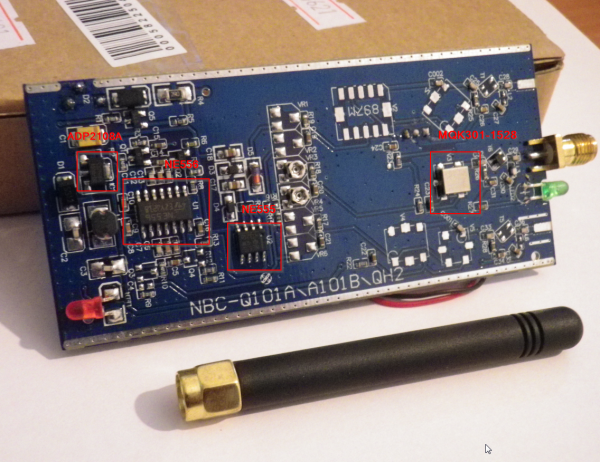 SDRPlay to 'make worthless' users receivers after some are stolen from a warehouse. P25 digital voice decoding with GNU-radio OP25 project.